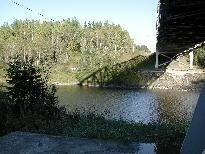 This is the west side of the river, looking north from under the Highway 17 bridge. 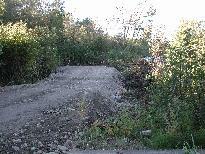 The end of the gravel is where the west foundation will be. This is the east side of the river, looking north from under the Highway 17 bridge. 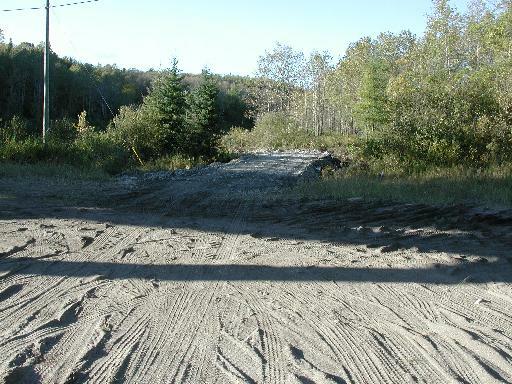 The foundation for the bridge will be behind the trees to the left of the gravel. Back on the west side of the Pic River, but this time the camera is looking across the river to the east bank. 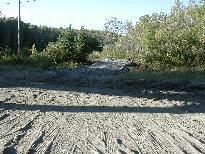 The clearing to the left of the Highway 17 bridge's shadow is where the east foundation will be located.